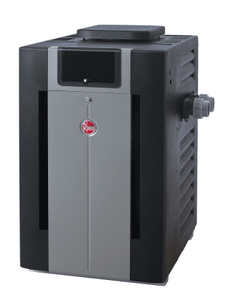 Rheem Pool Heaters are the most efficient, easy to control and have a rugged-steel construction. Extend your swimming pool season with a pool heater! General Rule of Thumb when Picking Your Heater Size: You can never go too big! The larger the BTU the faster your pool heats up.